The FUTURE is WILD worlds are created through artistic skills, imagination and our understanding of both the natural world and how science works. This ability to create is in all of us, but we need to be informed and inspired as to how to put it into practice. The main aim of the exhibition is to encourage people to “think”, how to realize their own artistic skills, be inspired by their own imagination and using the tools of science create something special, something individual and reflecting their own personal selves, all under the auspices of the FUTURE is WILD umbrella. Using the scientific integrity of the brand combined with the visions and entertainment experience of its creative team, The FUTURE is WILD has developed exhibitions and visitor attractions for each venue. With its mixture of recreated environments, animatronic and virtual exhibits, combined with the latest audiovisual spaces and 3D technology, all the human sensations are stimulated. We bring to life a vision of our future in a truly immersive way. The major breakthrough for a totally new aspect of the brand was the opening of the world’s first Augmented Reality darkride at FUTUROSCOPE, a science and amusement park in Poitiers, France in April 2008. The expedition vehicles bring the visitors to an interactive safari, far into the future, across steppes, marshland and tropical jungle. 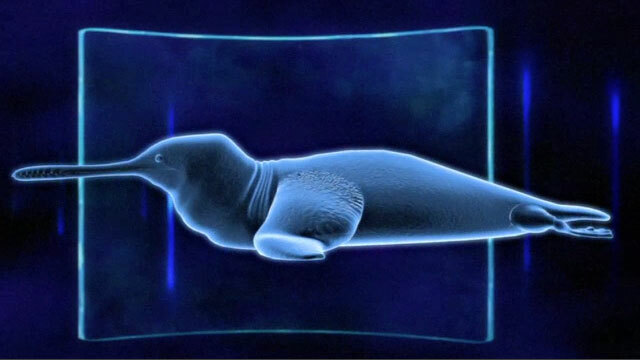 Armed with binoculars and sensor bracelets, visitors can experience “virtual contact” with The FUTURE is WILD creatures in their environments over the next 200 million years. This science park annually attracts several million visitors, particularly school parties, from Western Europe. A teacher’s guide and lesson plans are delivered online to French schools. This type of exhibition combined reality and virtual reality by the end of 2012. In April 2012 the Dinosaur Park celebrated its 20th Birthday and started the year of celebration with an all new exhibition of FIW! 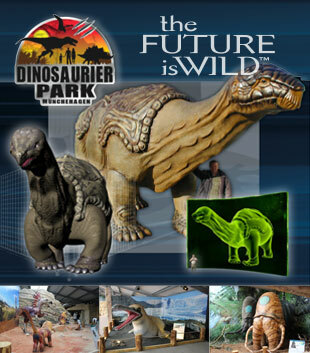 The Dinosaur Park successfully offers exciting action packed days for school classes, families and visitors of all ages. More than 220 life-sized primeval giants expect the visitors. With the new The FUTURE is WILD feature, the park will additionally present how our world might look in millions of years in the future. 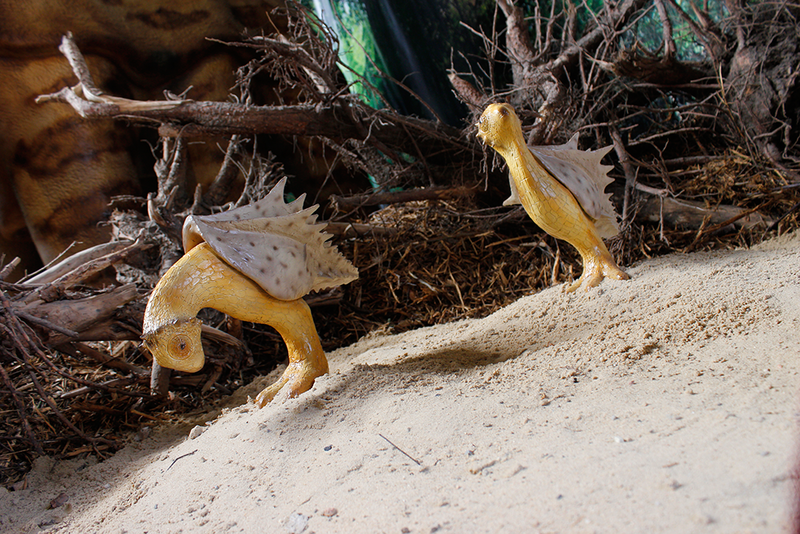 The specially created The FUTURE is WILD exhibition hall presents 16 life-size creatures of the future in their natural habitat. Information screens, videos and fantastic sound installations transport the visitors into an amazing futuristic world. After the opening and outstanding success of the very first major visitor attraction at Futuroscope, The FUTURE is WILD continued to develop the IP for an even more extensive use in the area of visitor attractions worldwide. 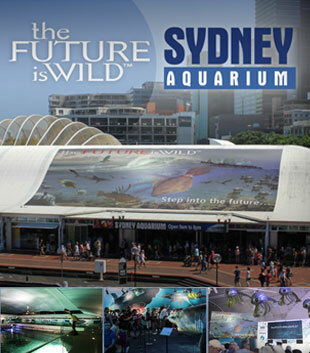 With its first fully integrated exhibition at Australia’s Sydney Aquarium – opened in September 2010, running for a 12 month period – FIW created an entertaining and educational exhibition that fascinates and captivates the audience. 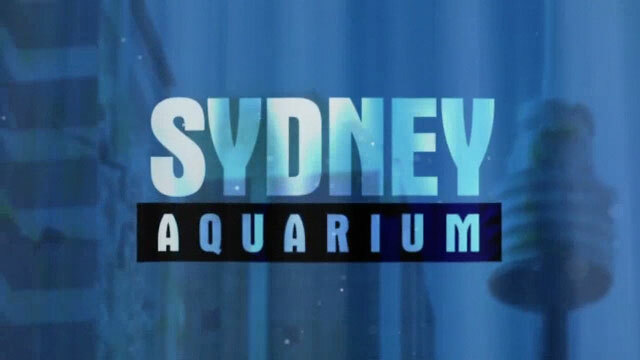 The exhibition combined the stunning marine life of Sydney Aquarium with virtual animals, Augmented Reality, the latest sound and visual technology. Sydney’s foremost special effects and modelling companies worked together with FIW to create the future at Sydney Aquarium and provide visitors with one of the most immersive and engaging exhibitions Australia has ever seen. show the future in a way that is audience participative, to touch it, feel it, experience it and understand it. celebrate the beauty, the wonders and the vulnerability of the Natural World. increase the understanding of science and the ways in which it affects our life. research, develop and utilize new technology to get the message across. inspire a generation to become the guardians of the future. encourage creative skills to produce the very best in innovation, design and technology. 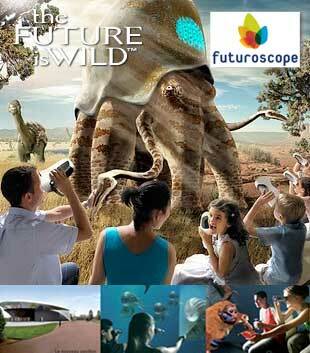 You are interested in hosting a The FUTURE is WILD Exhibition or a Visitor Attraction? Please contact us for more information.